I don't know what it's like in the rest of the world, but in the UK, the high street retail sector is under great pressure and shrinking. Hobby shops in general seemed an early victim and so it is pleasing to see a new hobby place open up and better still, it is called 'Wargames'. 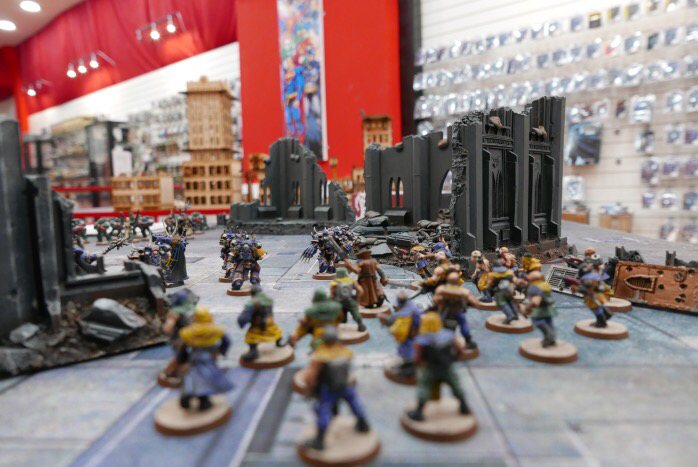 Lovely to see that someone has the vision and confidence to bring this about, putting the shop in the high street with name 'Wargames' emblazoned boldly for all to see. A great advertisement for the hobby. 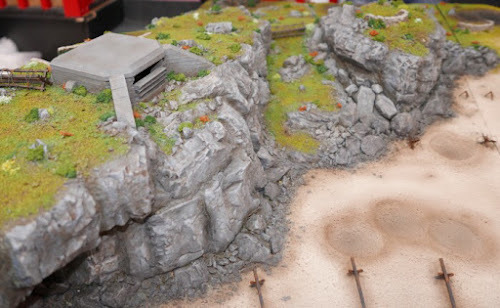 Anyway, I had heard that 'Mel the Terrain Buidler' was visiting the store to deliver a large terrain scape that he had put together for a Normandy beach landing for the Bolt Action system. 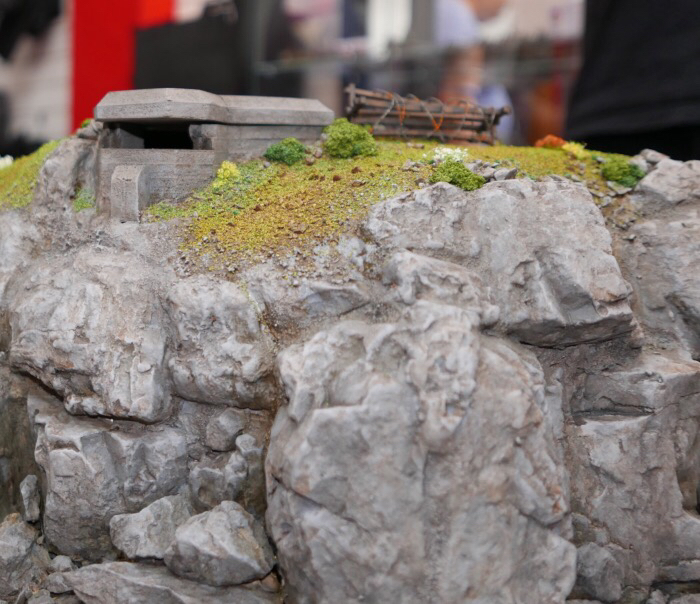 So, I made my way to the store today to support the event and the rest of this post is given over to an overview of what the shop is aiming to provide and to swoon over the lovely terrain module that Mel had built. Please press the 'read more' tab for the rest of this post. 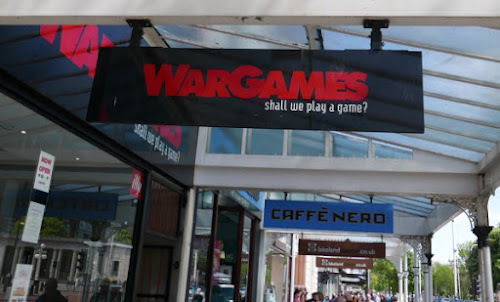 Wargames, in Lord Street, Southport (North West UK) opened just before Christmas and is owned and run by Martin. He sees the store as being the hub for the gaming community and he wants customers to feel that it is their shop, a 'go to' destination for all types of gamers. 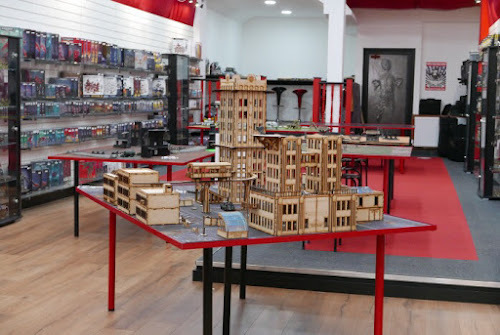 As news of the store is spreading, he is seeing increasing numbers of customers, while he continues to roll out the features that he hopes will make his store prominent in the national gaming landscape. The premises are large and multi-floored. 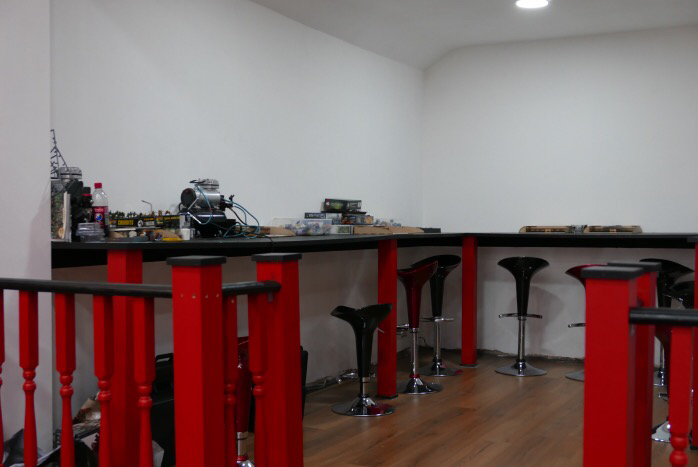 At the front of the shop is a seating area with tables. Coffee and confectionary can be bought and so these tables become a resting place to browse through your purchase or somewhere that your partner can sit while you indulge in some retail therapy. As you walk through the shop, the walls are filled with product and glass cabinets that display models in them. A good selection of GW and Vallejo paints. 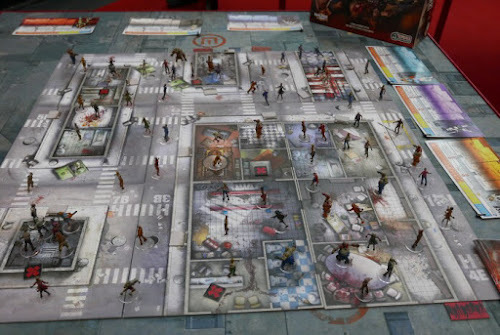 To the centre of the room are several tables, which at the moment have Zombieside, Batman and Star Wars games set-up. 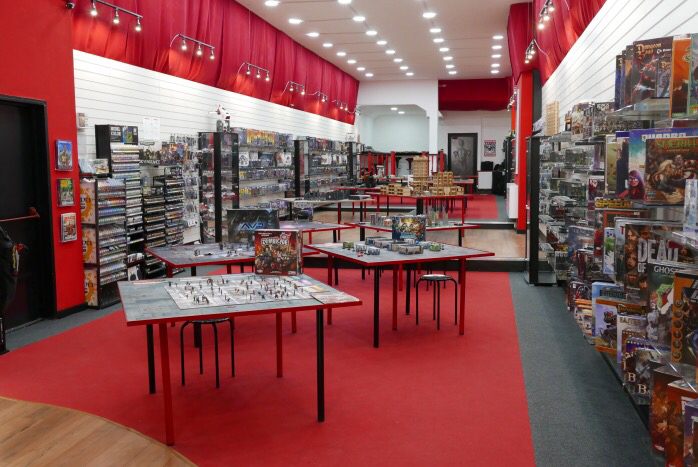 The left wall is dominated by Games Workshop product, while the right side has a mixture of boardgames (mostly Euro style), Kings of War, every Batman blister pack, Malifaux and historical 28's from the Warlord stable (something I have become quite taken with). 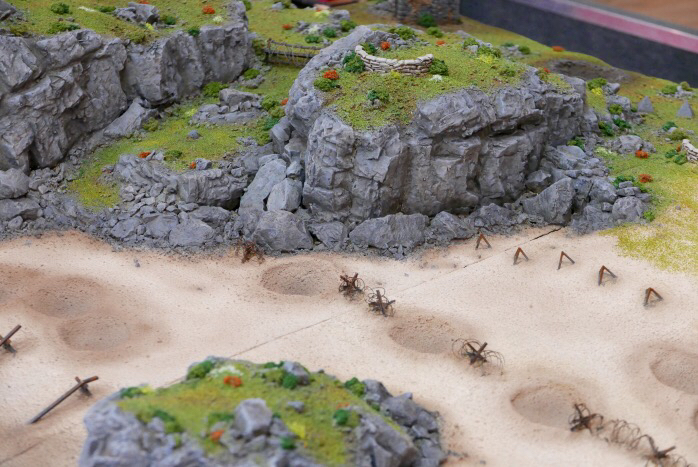 Amongst the boardgames they have armies for Dropzone Commander, which at 10mm would suit my Hexon terrain very much. At the very rear of the shop is an area set aside for airbrushing and this will be where airbrushing workshops are held. Upstairs are a number of tables that over time will be created to cater terrain wise for specific games and visitors can pay a small sub to do a gaming session - just bring your armies. 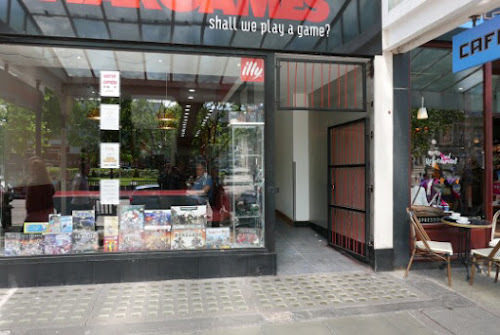 You can always hire a table and play what you want, even bring your own boardgames etc. 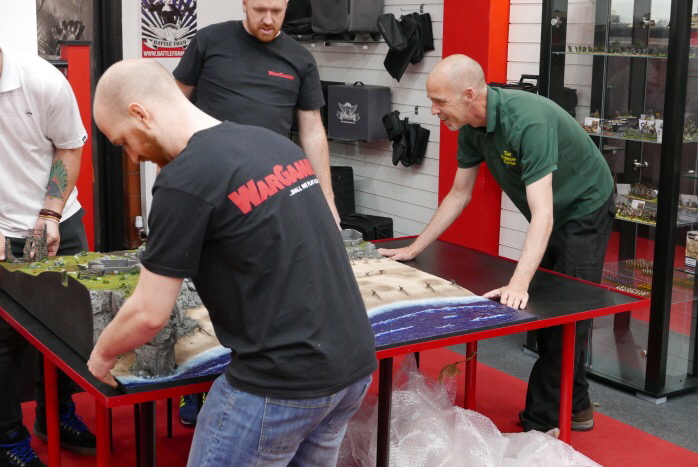 By the time Martin has all of his plans in place, there should be a gaming capacity of 40 tables. He is looking to accommodate some big events, where people will come for the full day and plans to have eating facilities, so that these visitors can choose a hot meal. The website is still being built (2 - 3 weeks away), but Martin runs a Facebook page (see resources at the foot of the post) to keep the community up to speed. 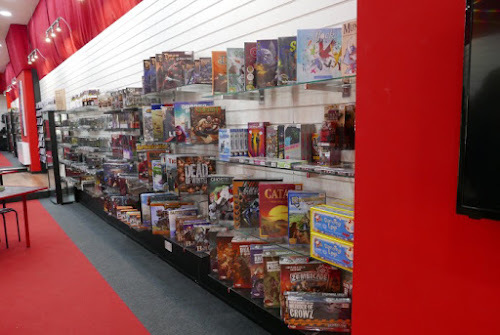 So anyway, some bold plans, some of it still under way, but Martin is seeing an increase in customers and now the store is open most nights until late for gamers to meet and play. 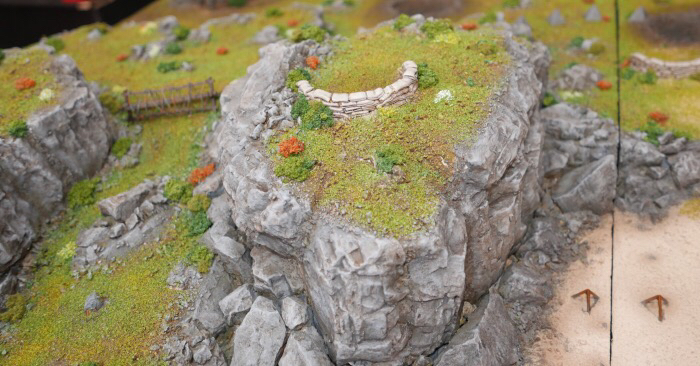 I would like to see some more terrain building material being sold and Martin said that is in hand. It was good to see a lot of younger people at the shop. Too often the wargaming hobby is described as greying, but there is a vibrant young game playing generation coming through and they are playing everything and bringing innovative games to the fore, it is really nice to see that level of energy in the hobby and the variety in game play that it generates. The U.K. Can now support a quarterly gaming magazine called Tabletop Gaming (sold in the shop) and it covers all the new designs. I doubt this sort of magazine could have survived 10 years ago, so something good is happening on the game scene. As for today's treat! Mel Bose (also known as Mel the Terrain Tutor) was visiting the shop to bring a 6' x 4' model of a Normandy style beach, that he had made for Martin's Bolt Action table. 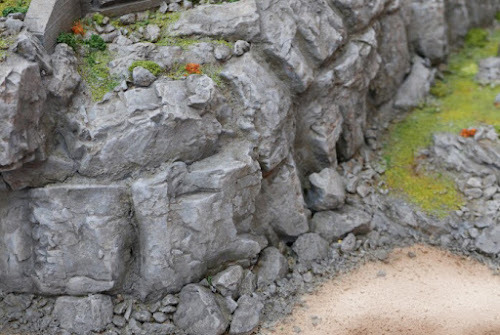 Mel does commission terrain building and is also widely known for the video channel that he runs, giving advice and guidance to all gamers who want to make or improve on their terrain. He is a very friendly bloke and after seeing many of his videos, it was nice to meet him in person and see this big project that he brought to the shop today. 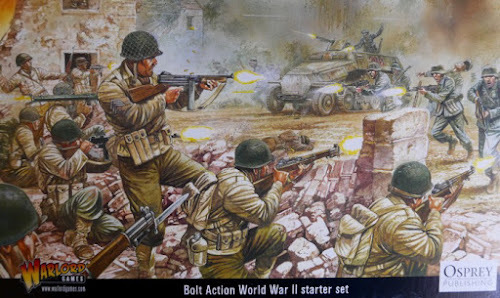 I am sure that Bolt Action needs no introduction, I have included some shots that show off Mel's handiwork, it is very inspiring. 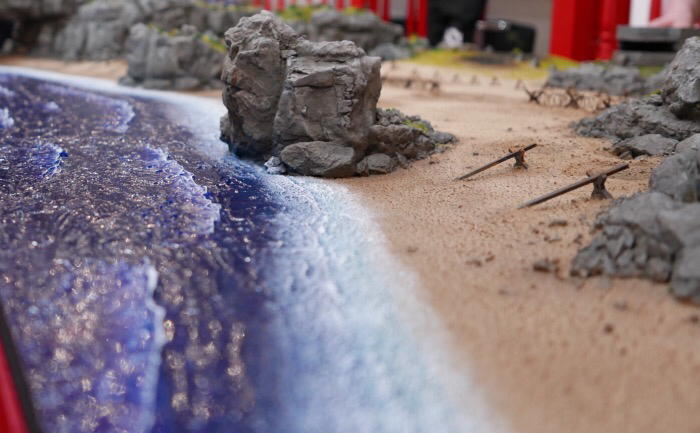 The terrain will now be a permanent feature in the game shop, so you can bring your armies down and try your hand at a seaborne invasion / defence. 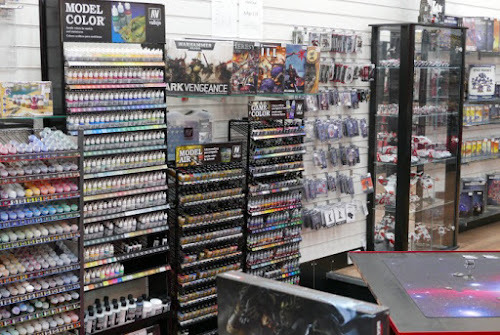 While at the shop, Paul gave me some tips on airbrush use and importantly for me, how to use inks properly, a skill that I have never really got to grips with. 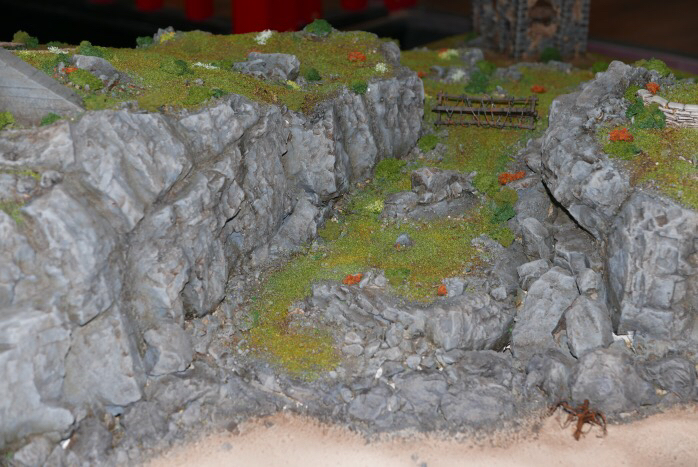 Anyway, it is all rather simple really ...... don't just use Soft Tone on everything! (Which I do). In accordance with his advice I bought some Citadel Drakenhof Nightshade shade, which basically means I put this over blue clothing instead of using brown ink and my stuff should look better .... Simples! 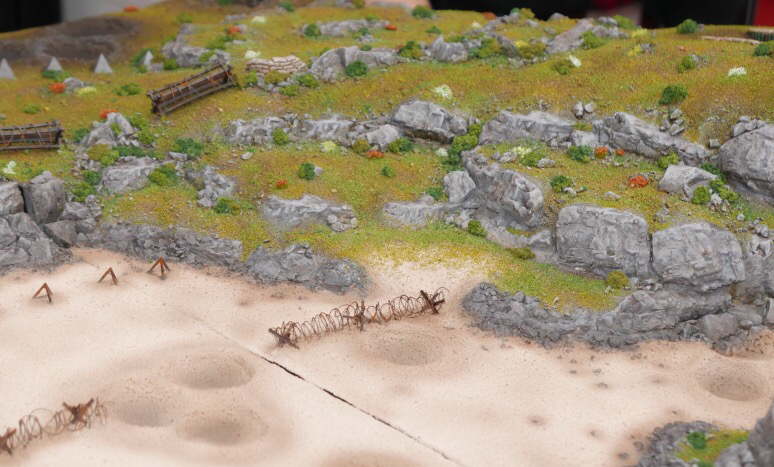 Both Paul and Martin have done commission painting and will still take on the odd commission if their schedules allow. Now I'm not sure how it happened, I think Martin and Mel hypnotised me or some such, but more likely I was simply inspired by the beach scene, but before leaving I bought the Bolt Action starter set, called appropriately 'D-Day Firefight'. It provides some German and American troops, a German half track, a ruined building (kit), a mini version of the rulebook (in soft back) and the activation dice that the system needs. I can see a lot of visitors to the shop seeing the table and then buying this set. I have had a dig through the box contents and it comes with a fly sheet with four scenarios that are designed to slowly get you into the system. What I really liked was that these starter scenarios only use a 2' x 2' board, maybe a fun way for myself and Mike to have a go. In the top photo of the store signage I initially thought the cafe sign said "Cafe Nerd" and thought that the synergy with a gaming shop was just brilliant. I've seen some of the construction articles on Mel's page/pages - but that looks a good set up. I am having a go at doing te trees that Mel did with wire and Milliput, looking good so far, but am I the only one that gets Milliput everywhere?I think I make it over wet and don't mix it well enough.